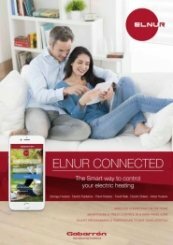 Elnur are one of the leading providers of electric heating across Europe. Supplying to more than 35 countries, Elnur manufacture a large range of heating products in their 20’000 square metre factory. Elnur innovate their products in order to improve their product range. Working to keep up with the ever-changing heating industry, the facilities at Elnur are second-to-none. With five assembly lines producing products, their manufacturing process is state of the art. They guarantee a perfect finish on all products using their unique powder coating station. This is an automated facility which ensures that all products resist ageing and corrosion. Their products, their manufacturing and their warranties are all market leading. Their signature collection is the Gabarron range. 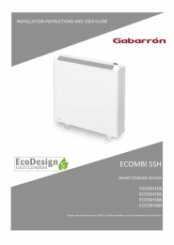 The Gabarron range of products offers luxury and control by using the latest in energy saving techniques. 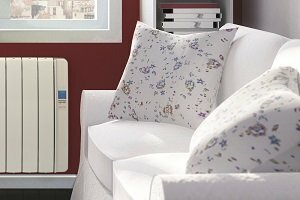 Elnurs electric radiators are suitable for the home and the office, as well as conservatories. They often include extra features such as open window technology and adaptive start. These features provide premium energy efficiency which reduces energy wastage, and at the same time, saves you money. The RXE design is fitted with an highly accurate thermostat and also offers digitised on-board controls for precise programming. 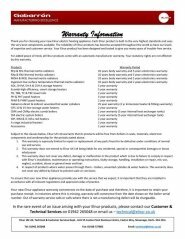 All products are Lot 20 approved and come with an excellent 10-year warranty. 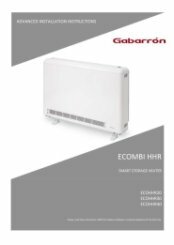 Storage heaters take advantage of low-cost energy tariffs at night and the Elnur’s high heat retention models are able to retain a large amount of heat throughout the day. They offer a quick and easy installation with a customisable setup to tailor it to your requirements. The ecombi range or products are self-learning and automatically adjust to your needs. Smart and efficient, as well as very quiet due to its low-noise fan pushing heat throughout your space. 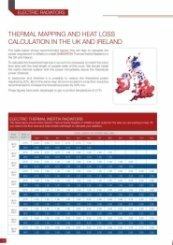 Comfortable cost-effective heating around the clock. Elnur towel rails lead the market for effective warmth and efficient performance. Using a range of modern techniques, the towel rail has evolved into a fully functioning automatic heater to suit the homeowner’s lifestyle. Safe and secure, the heaters use thermal detection sensors and a keyboard lock to prevent interference. Remaining 100% energy efficient, Elnur products are easy to install and with no maintenance, they are perfect for matching the aesthetic of the modern bathroom. Investing in Elnur heaters will ensure an excellent level of performance and efficiency. Heater Shop supplies the complete range of electric boilers by Elnur, they are the perfect solution for properties with no access mains gas. Both combi or heating only boilers are available. 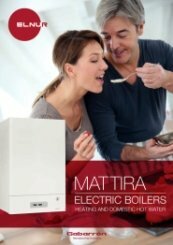 They are safe and convenient whilst offering an improved efficiency compared to most regular boilers. Elnur’s boilers record energy consumption and work to keep running costs down. The boiler is able to regulate the temperature of the water to the property’s requirements. Its learning facility is able to detect a change in the thermal requirements of the house which allows it to anticipate usage. Elnur goes above and beyond by minimising energy wastage and maximising comfort. Are Elnur radiators and towel rails oil filled? 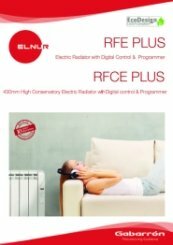 Yes, our Elnur RFE electric radiators use the EcoFluid technology. Based on an optimum thermal inertia and heat transfer through a low viscosity and environmentally friendly thermo fluid, with a neutral composition and high thermal stability. The TBC & TBBi towel rails ranges both use a low density thermal fluid ensuring no maintenance is needed. The ecofluid technology thermal radiators use a special high performance mineral thermal fluid, with a neutral composition and high thermal stability. It is non-corrosive and does not contain carbonisible substances, making it very environmentally friendly. Therefore recycling will not be an issue. These thermal radiators do not require liquid or gaseous fuels and they do not release any type of combustion or emission into the atmosphere. They use electricity as the safest, cleanest and most ecological option on the market. 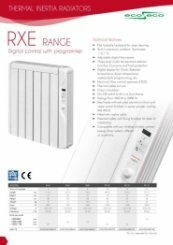 Elnur RFE oil filled radiators are a safe, convenient and reliable source of heat for any home that is without gas central heating, or any time you want to heat a specific room independently of the rest of the house. 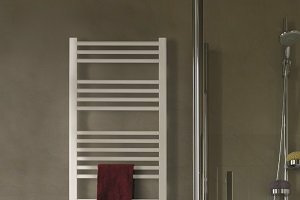 Available in a range of heat outputs and sizes, there is an Elnur RFE oil filled radiator or Elnur TBBI and Elnur TBC towel rail to suit every room. Do Elnur electric boilers come with a flex? 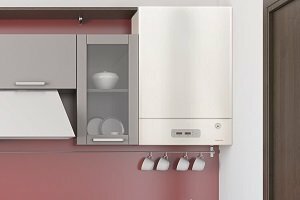 Elnur electric boilers do not come with a flex as they are subject to different installation methods other than for example a radiator or panel, whereby the connection must be hard wired by a competent engineer. Do Elnur radiators have a 24-hour timer clock? 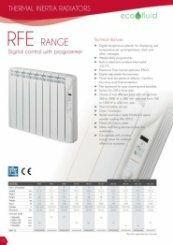 Elnur RFE & RXE ranges feature user-friendly controls with a 24 hour digital timer. The electronic programmer allows you to easily pre-set the operation mode for each thirty minutes of the day for every day of the week, this allows for precise independent temperature control in the various rooms of your home. The keypad is lockable for added safety and has a built in electronic ambient thermostat with ± 0.1C accuracy. 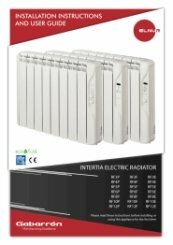 Do Elnur radiators have child locks? The Elnur RFE electric radiators all have child locks on the settings panel to stop little hands from tinkering with your heating. The Elnur Connected range however, do not have a lock available on products in the range. Do Elnur water cylinders come with a flex? Elnur water cylinders do not come with a flex. This is due to different installation methods other than for example a radiator or panel, as the connection must be hard wired by a competent engineer. Do I need to leave a gap above my Elnur heater? Yes, a 15cm gap needs to be left above any Elnur Electric radiator, Storage heater and Panel heaters. This is to help the convection of the radiator and prevent over heating. Unlike central heating radiators, electric radiators, storage heaters and panel heaters can not be covered as it poses a serious fire risk. 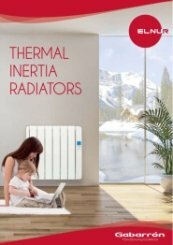 How high do the Elnur radiators need to be off the floor, when installed on to a wall? 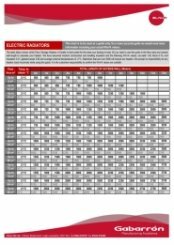 As per the Elnur installation manual, the minimum height for the Elnur electric radaitors to obtain optimum performance is 150mm off of ground level. 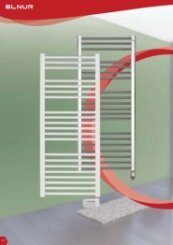 Also recommended is that there is a gap between any object to the right end of the radiator of 250mm and 150mm between a shelf mounted over the radiator or any flammable material surrounding the Elnur radiator. What makes the Elnur RXE NHS compliant? 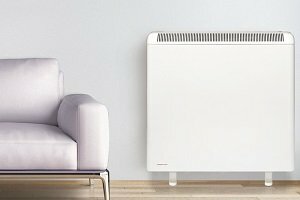 The Elnur RXE range have a low surface temperature which will not exceed 43 degrees centigrade. Eliminating the likelihood of burning accidents to the elderly, disabled or children. 100% safe, it is perfect for use in care homes, nursing homes, clinics and nurseries and schools and has the NHS royal seal of approval. One the best economic heaters on the market at the moment. Great heaters, excellent service from the heater shop. 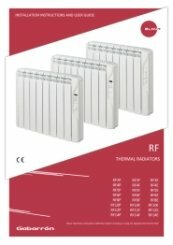 I purchased 3 elnur rxe heaters on the phone, which I saw on line. Brilliant service, very pleased. Thanks. Thank you for the really fantastic review of our service. They look good, are easy to install and they heat up quickly. They look good, are easy to install and heat up quickly. This is the second purchase made and the service and delivery was just as good as the first time. No hesitation in using the Heater shop again. Thank you very much for the brilliant feedback again - we appreciate you taking the time to leave us another fantastic review.